Looking for a way to help your attendance grow? 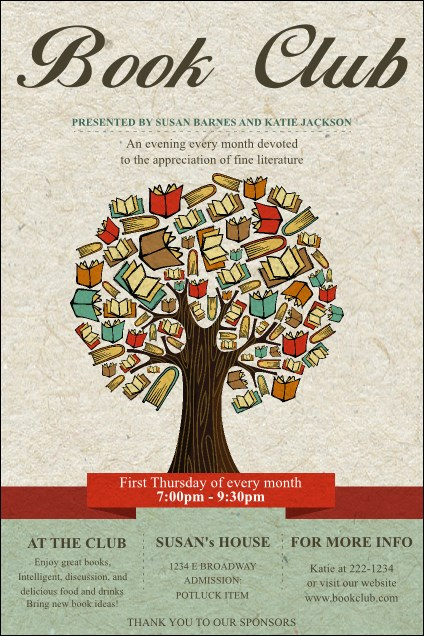 Promote your reading event with the fun Books Poster. A tree sprouts colorful books instead of leaves on this template, with event details listed below. Pair with tickets, flyers, and invitations in a Matching Event Kit. Browse TicketRiver.com.au's gallery for big ideas for your event promotions!